Every organisation has its own version of a scorecard. This describes the mandatory things that, for example, each team must deliver. Each person will also be given a scorecard. This describes what they must deliver in a specific role. Some scorecards mainly focus on the ‘What’. They are written in outcome terms and outline the specific results a person must deliver. The person is given freedom, within parameters, regarding how they deliver these results. Some scorecards are much more detailed. They describe not only the ‘What’, but also have strict controls on the ‘How’. The centre wants to feel more in control – not only of what people deliver, but how they go about it in their daily work. “The scorecard has changed as our business has got bigger,” said one manager. “Ten years ago it contained a few top line targets. These covered the normal 3 Ps of Profits, Products and People. We had lots of freedom in terms of how we worked to hit these targets. “During the past few years, however, the scorecard has contained more and more micro-targets. Sometimes it is hard to see the relevance of these to running a successful business. “If people don’t want to do that – if they just want to do the things they find interesting without delivering their part of the scorecard – they should find another team. If you wish, try tackling the exercise on this theme. This invites you to focus on your present role – or to look at one you may want to apply for in the future – and to do the following things. 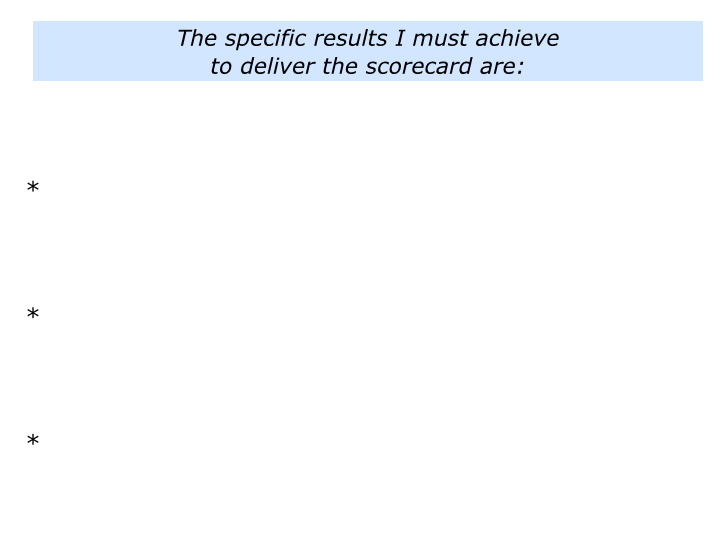 Describe the specific results you must achieve to deliver the scorecard. Describe the specific things you can do to do your best to achieve these results and deliver the scorecard. People can continue to deliver the scorecard, but they often want to pursue additional stimulating projects. The manager mentioned above explained this approach. “We deliver the scorecard to keep the centre off our backs. In our market, however, we also need to adopt fresh approaches to helping our customers to succeed. “Bearing this in mind, I did the following exercise before the start of the financial year. Looking ahead, my team focused on how to do the following three things. To deliver the scorecard and satisfy our key stakeholders in the company. To do stimulating projects that would deliver benefits for both the customers and the company. To translate these projects into success stories that could be published and deliver benefits for the company. 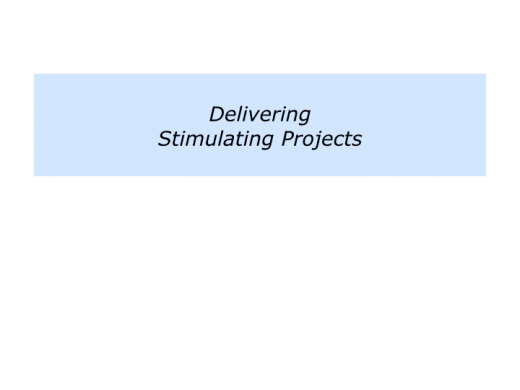 “Each team member clarified the projects they wanted to deliver. Again, it was vital to show how these could benefit the company. “In practical terms, this also meant passing on some of the other tasks to members of their teams who wanted to prove their worth. You will, of course, have your own way of making this happen. If you wish, however, try tackling the exercise on this theme. This again invites you to focus on your present role – or to look at one you may want to apply for in the future – and to do the following things. Describe the specific stimulating projects that you would like to deliver. 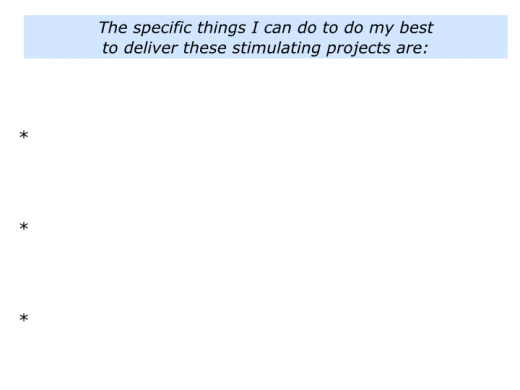 Describe the specific things you can do to do your best to deliver these projects. “That sounds fine,” somebody may say, “but what if it gets out of kilter? “What if you spend all your time fixing the scorecard and have no time to do the other satisfying stuff? People who sign up to organisations realise that, in exchange for a monthly pay cheque, they are accountable for making sure the mandatory tasks are delivered. The key word is accountable. A team leader, for example, will not need to do every piece of work. But they are judged on whether or not their team completes these tasks successfully. Sane organisations communicate the overall scorecard. The scorecard is written in outcome terms. It focuses on three key areas, for example, and describes the headline results that people must deliver. People are also given the support they need to do the job. Insane organisations communicate a detailed scorecard. The scorecard covers many areas and is written in task terms. It tells people what they have to do and how they have to do it. People are over-stretched and not given the support to do the job. Bearing these things in mind, each person must make their own decision. Looking at your own work, for example, ask the following questions. Do I believe it is possible to get the right blend between delivering the scorecard and doing stimulating projects? If so, how can I do my best to make this happen? 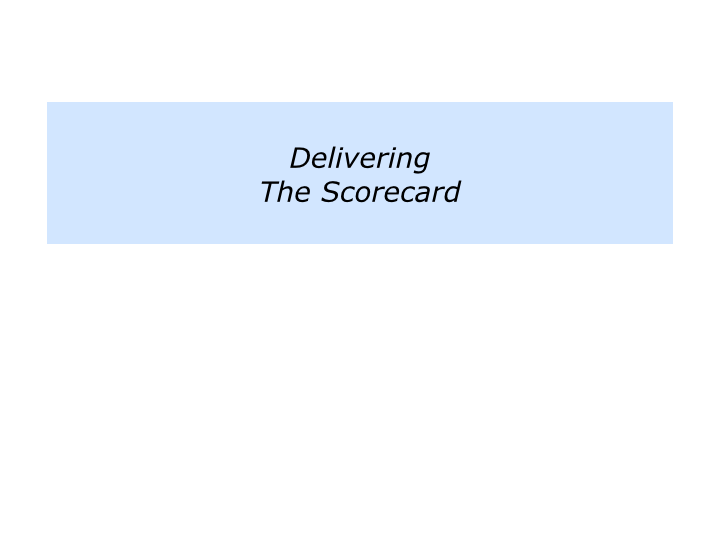 How can I, for example, find satisfying ways to deliver the scorecard? How can I manage the centre by proactively keeping them informed about progress towards achieving the results? 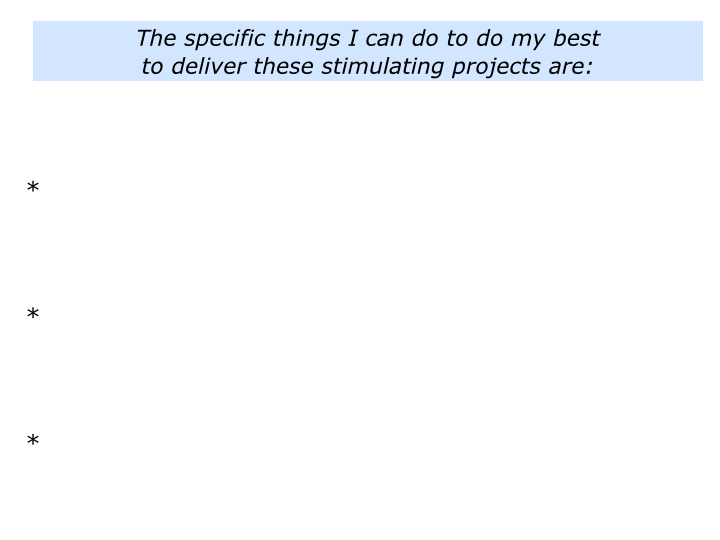 How can I also do stimulating projects? 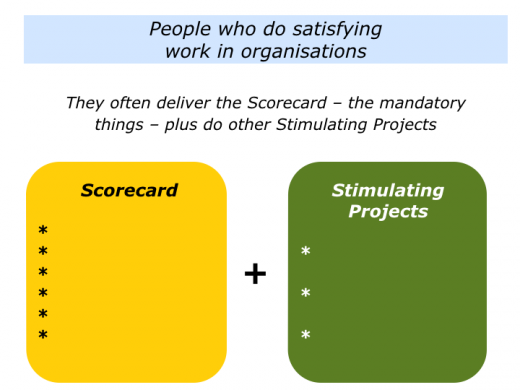 If I have a team, how can I co-ordinate people’s talents to deliver the scorecard and do stimulating work? To each play to their strengths and make their best contribution towards delivering the team’s scorecard. 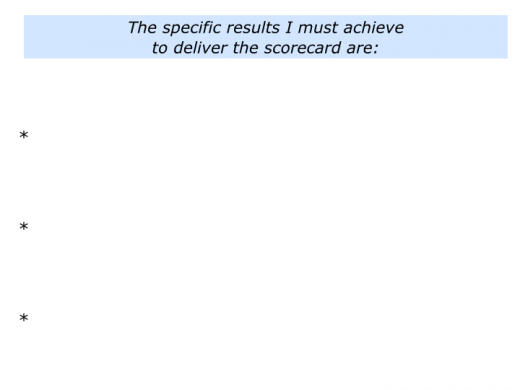 To find creative ways to do the remaining tasks that must be done to deliver the team’s scorecard. To then get on with doing the stimulating projects and delivering success stories. Looking at these answers, let me return to the first question. 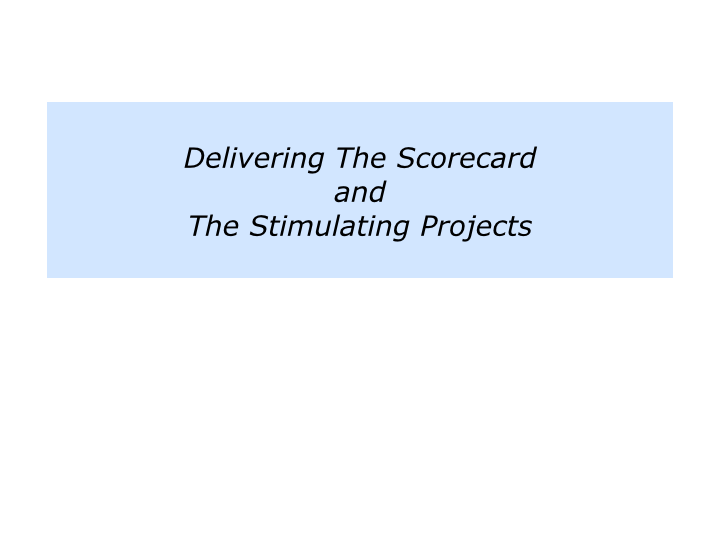 Do I believe it is possible to get the right blend between delivering the scorecard and doing stimulating projects? If so, good. If not, what is the decision I want to make? You will have your own way of asking and answering these kinds of questions. If you wish, try tackling the exercise on this theme. This again invites you to focus on your present role – or to look at one you may want to apply for in the future – and to do the following things. 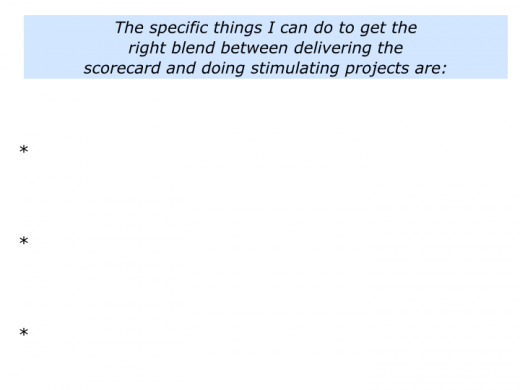 Describe the specific things you can do to get the right blend between delivering the scorecard and doing stimulating projects. Describe the specific benefits – both for yourself and for your organisation – of getting the right blend.